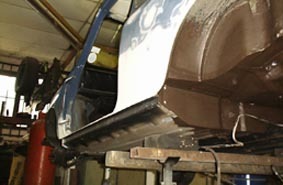 We offer a full Mini restoration service, so if you need a new wing, sill, A-panel or any part of your car restoring we can help. We always pay great attention to detail; look at examples of our work and see the detail. 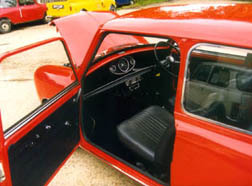 Look at the shut of the doors and the fit of panels, it is these items you will notice on your Mini when it is restored or repaired. We can offer such attention to detail since all work is undertaken in our own workshops by our own staff. 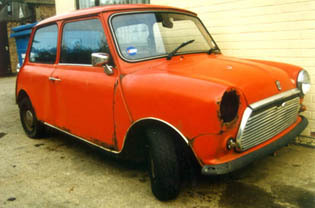 Beware of people who say they can restore your Mini shell for under two thousand pounds - they can not if it is done correctly. 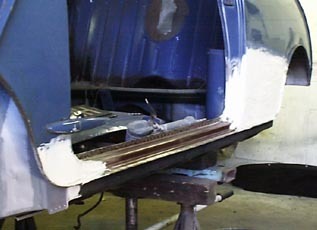 In the long run cutting cost on restoration always costs more in the end! 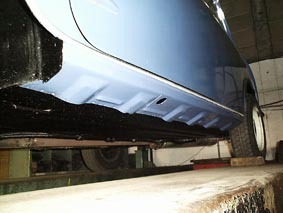 This is a finished sill fitted by Dean's Minis. Note it is a 4.5" sill and not an over sill. Over sills (sometimes known as wide sills) are Mini killers and should not be sold let alone produced. If someone wants to sell you an over sill they are not a real Mini enthusiast! 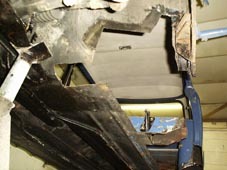 This shows the damage an over sill can cause. 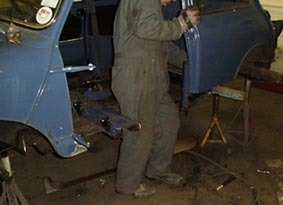 The correct sill of a mini forms a box section with the inner sill and floor. This section should be able to have air flow through the outer sill slots. An over sill creates a box with no vents so moisture, dirt etc. cannot escape thus rotting out everything near it. 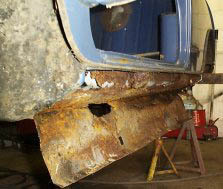 These two pictures show the amount of corroded metal we had to cut away to get back to good steel for welding. It is not easy to see at first but the lower picture is looking up at the roof lining through the hole cut away by removing the sill and step section. This is some of the rotten sill cut away! Panels fitted and almost ready to paint. 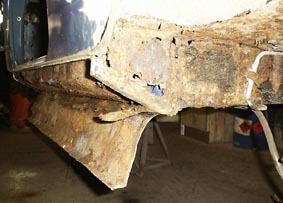 Note the original spot welds at end of sill. We use a one sided spot welder for neatness, originality and strength. 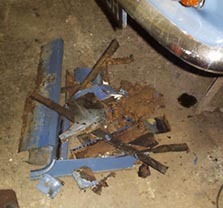 Corrosion to the front of the rear subframe mount. 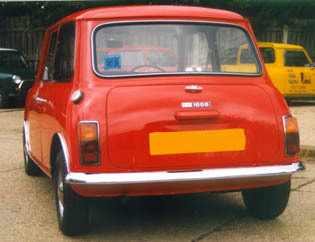 1972 Mini Saloon restored to shell. 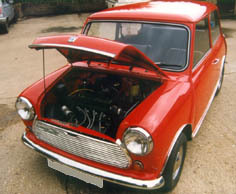 This is the condition of the Mini when it arrived!